From collaborations with Stella McCartney to Yeezy, Adidas still rules the world of exclusive sportswear, and their latest collaboration with Alexander Wang only further solidifies their reign. 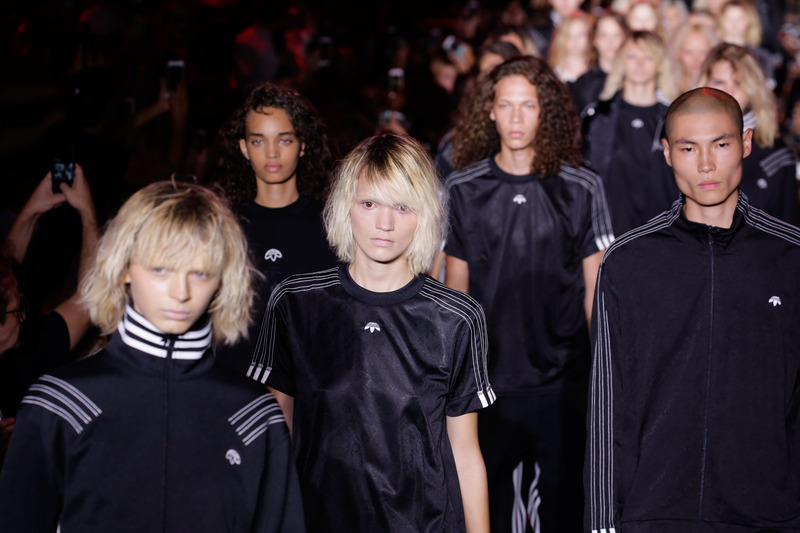 While the collection was only announced on Sept. 10, one question remained unanswered: When will adidas Originals by Alexander Wang be available? For those of you who can’t wait to rock Wang’s collaboration with Adidas, there's good news: A limited capsule collection is available to shop today. That’s right, perhaps thanks to the buy-now movement, you can score the same gear that walked Wang’s runway less than 24 hours later. Wang and Adidas are giving us a taste of the collection in what Vogue says is, “A nine-piece capsule that includes a tee, sweatshirt, tricot, and three footwear styles," and they're doing so in a pretty unconventional way, ensuring that their most loyal customers get a chance to procure some of the pieces a mere day after they went down the runway. If this kind of instant gratification sounds right up your ally, prepare yourself: The capsule collection is only available for sale in New York City via a pop-up truck. In other words, the one day only Sept. 11 event might make it hard, if not harder, to get your hands on this collection than it was to secure yourself a pair of Yeezy Boosts. At the conclusion of Wang's 2017 NYFW runway show, a group of both male and female models stormed the runway in black and white attire emblazoned with an upside-down Adidas logo, confirming the brand/designer partnership. Athleisure still has a place in the fashion universe, and Wang's unisex, monochrome vision works in tandem with Adidas' commitment to modern sportswear. According to @adidasOriginals Instagram, similar pop-up trucks will travel internationally in London and Tokyo on Sept. 17. Unfortunately, Adidas has yet to release an exact date as to when the full 84-piece unisex collection will be available. However, you can expect to see adidas Originals by Alexander Wang apparel and footwear in stores and online worldwide come Spring 2017.